KSH Holdings’ (KSHH) 2QFY19 PATMI increased 11.6% y-o-y to S$4.4m, lower than our initial expectations due to a sharp decrease in construction margins during the quarter. Revenue increased 58.2% or by S$12.9m to S$35.2m while profit from operations (before share of results from associates and JVs) dropped by S$1.4m y-o-y to S$1.2m mainly due to a higher cost of construction. However, the share of results from JVs and associates increased by S$1.5m y-o-y to S$3.4m due to an increase in profit recognised from High Park Residences, and the gain from disposal of subsidiaries by an associated company, which held strata units in Prudential Tower. PBT ended flat at S$4.7m (up 1.6% y-o-y) while PAT increased 9.9% y-o-y to S$4.5m on the back of lower income tax. Do note that y-o-y changes mentioned here are against restated 2QFY18 figures, while the FY18 figures in our report have yet to be restated. We continue to expect FY19 to end with positive PATMI growth over the restated FY18. KSH Holdings announced on 24 Aug that it has secured a S$266.3m contract to build nine 17-storey apartment blocks at 35%-owned Riverfront Residences, which is expected to complete in 2022. With the S$53.8m and S$28.0m construction contracts awarded earlier in Aug, KSHH’s order book stands at > S$553.0m as at 30 Sept 2018, and is to be progressively recognised up to FY2022. With partners, KSH has launched the sale of three projects so far in FY19: Affinity at Serangoon (18.4% units sold) in Jun; Riverfront Residences (49.5% sold) and Park Colonial (62.5% sold) in early July 2018. According to the press release, prices achieved were within expectation. Looking ahead, the group is cautiously optimistic on the outlook of its performance for FY2019. As primarily a construction company, we believe KSH Holdings stands to benefit further from the upcoming pipeline of en-bloc re-developments. After adjustments to our full-year forecasts, our fair value decreases from S$0.94 to S$0.81. 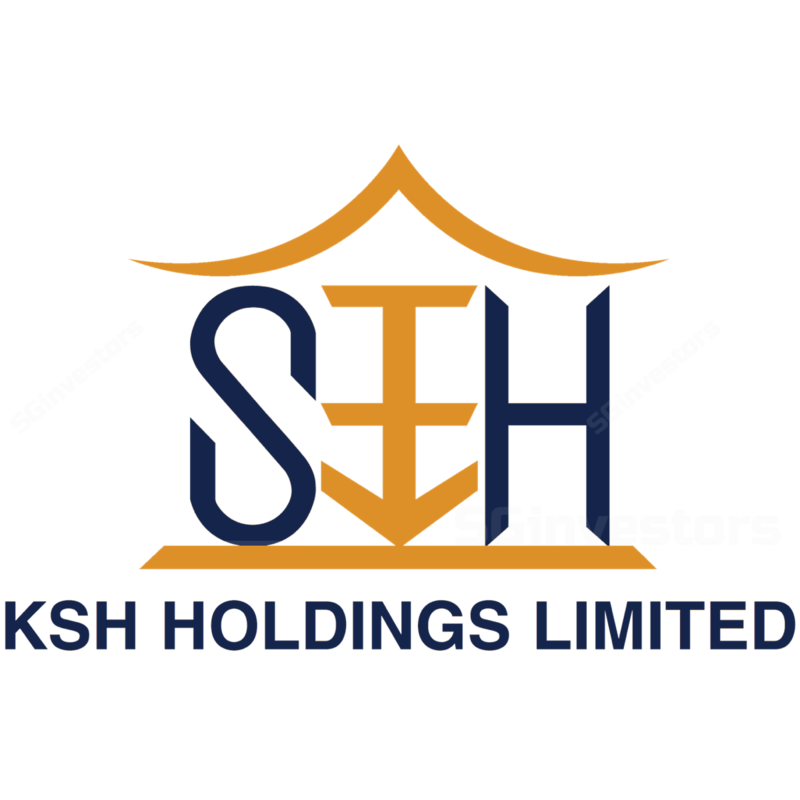 Maintain BUY on KSH Holdings.